Hello friends! I had an unplanned little break from the blog last week. No excuse other than as much as I love doing this, sometimes I just need a total break from technology! My son turned 15 last Monday, so after his big family party over the weekend and a full day of celebration on Monday, I was feeling unmotivated to blog. I surely don't want to post something just for the sake of posting. I was a total slug last week after the parties were over, pretty much just feeding my family, driving the Mom taxi, and doing the laundry, but I think I'm all recharged and ready to go! I really debated whether or not to post this today (too easy for a post? ), but I made a cookie cake for the very first time just a few years ago, and thought there might be some of you who had never made your own, either! It could not be easier (or cheaper). We made our own for less than $10- it would have easily been $25+ from the cookie store at the mall. I always make a birthday cake for the big family party (ideas here and here), but still like to have a little something to put candles on for their real birthday if it happens to be on a different day. So, he requested cookie cake for his back up this year! After securing the bottom plate and locking the side rim of the springform pan, use 3/4 of the roll of dough (for a thick cookie) to press into the bottom. 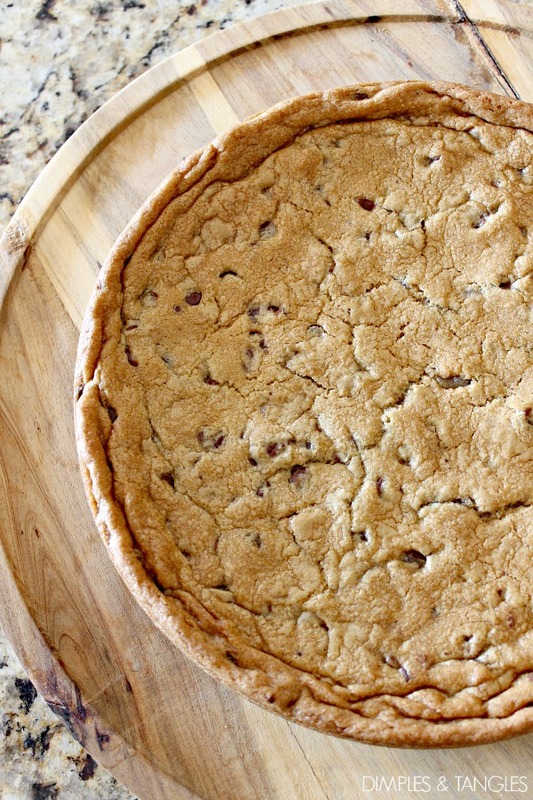 This could also be made in a pizza pan if you want a larger cookie cake. 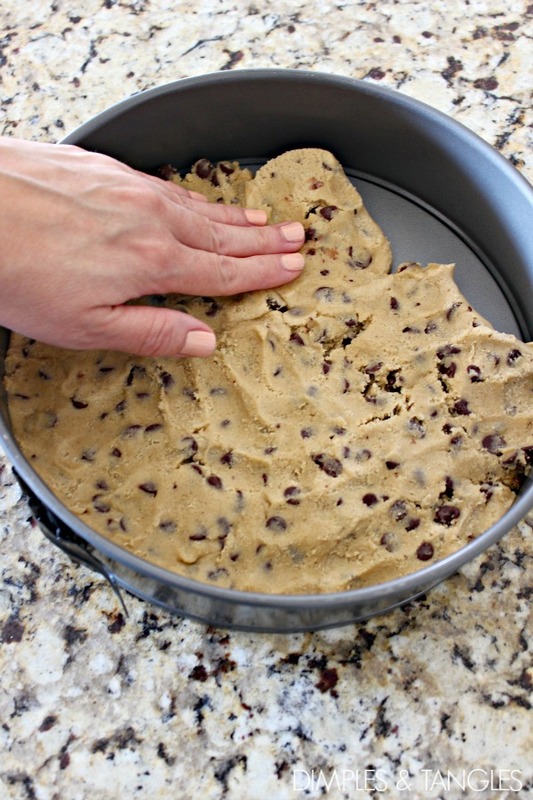 You would need to use the entire tube of dough and spread it out to fit pan. Bake according to package directions. Start with the time listed on package, but you may need to add a few minutes. Just watch for the edges and top to turn golden brown- mine baked for about 16-17 minutes total. Remove from oven and let cool about 10 minutes before releasing the side of the pan, I leave the bottom of the pan underneath the cookie to make it easier to handle. 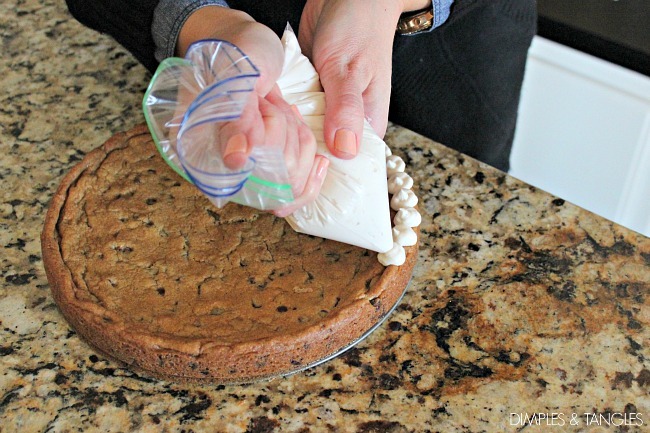 Allow cookie to cool completely before frosting. 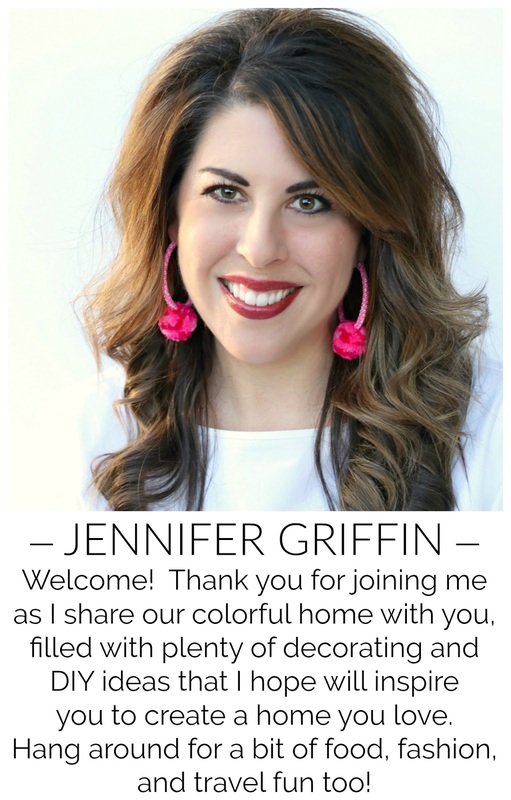 You can certainly use the decorator frosting in a tube for the easiest route to decorate, but I already had some extra frosting on hand from the cake I made for his party a few days earlier. I tried this recipe this time and I liked that it was lighter and fluffier than some of the other buttercreams I've tried, yet didn't taste like the "whipped" frosting (Blech!). I don't even use any special equipment most times for decorative frosting, I just fill a sturdy ziploc bag and clip the corner off. Sometimes I'll stick a piping tip down in the corner hole too if I want a decorative line, it works in a pinch. Then just toss the bag when you're done! The springform pan makes enough for 8 generous or 12 slim slices, a pizza pan would be larger. The best part is, you'll have a bit of dough left over to make a few double doozies! 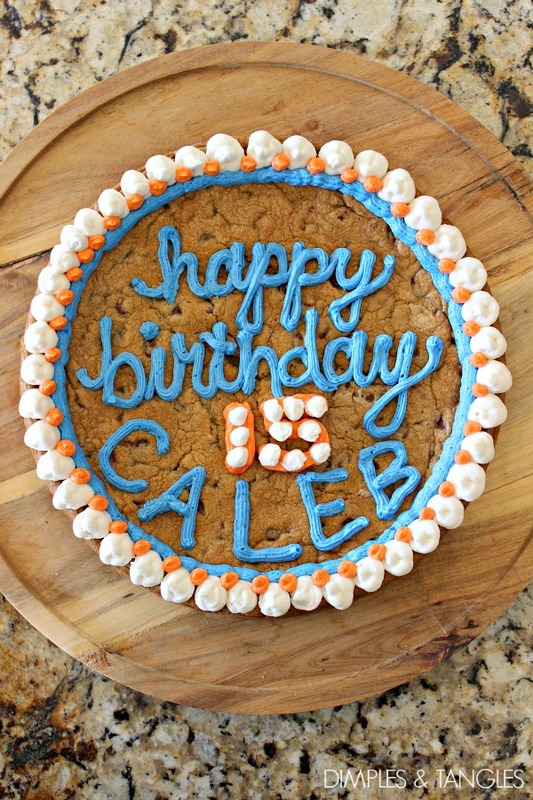 A perfect cookie cake for smart and dashing young man! oh, cookie cake--so delicious! Yours is beautiful! fyi--I find that when I use a pizza pan, I need to leave a little space and not put the dough all the way to the edge, or it will spill over the sides. Oh, Gretchen, that's a great point! I haven't made one in a pizza pan so thanks for sharing that, they definitely expand while baking! 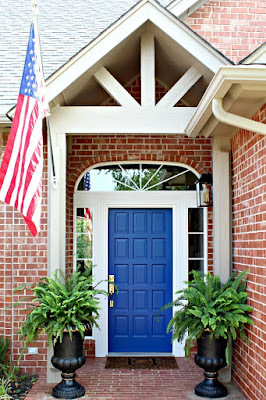 How fun, I havn't made one, but will definitely put this on my list. 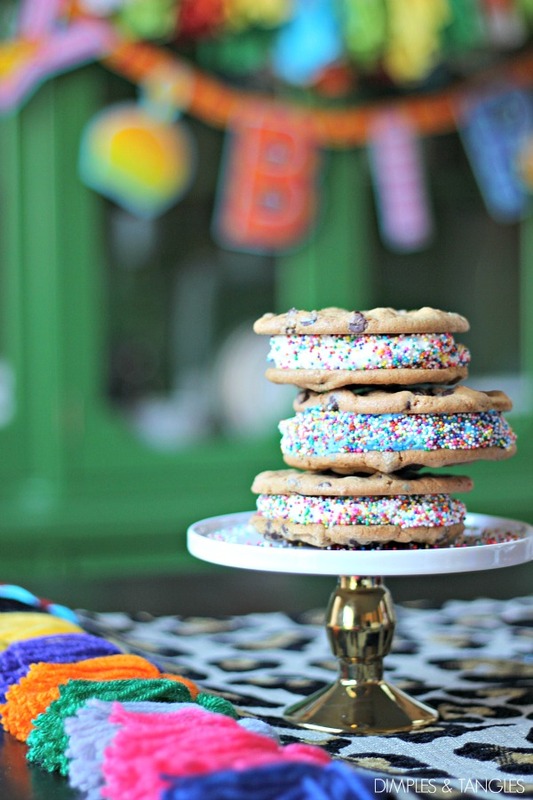 Cookie cakes are a family favorite for birthdays - need to remember this for an upcoming March birthday. :-) Too cute! That is the cutest thing ever! I might just have to make one for myself that says Donna "58." There's no age limit, right??!!! This is genius and looks incredibly yummy!!! 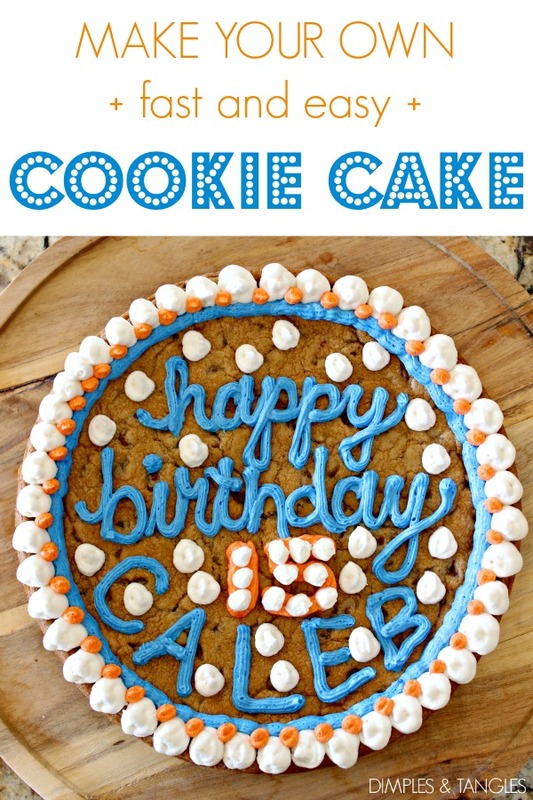 I've always said cookie cake is my fav cake and I love the idea of making one instead of buying! Such a great yummy idea!